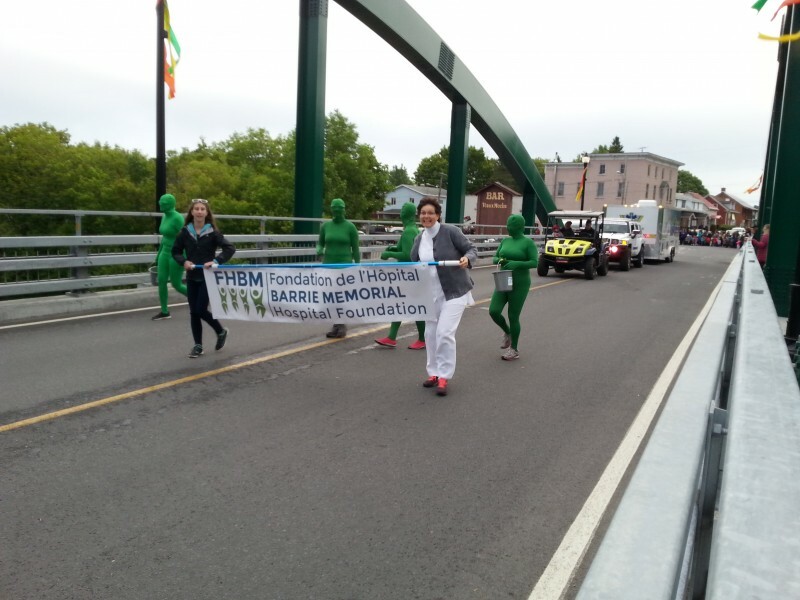 The Hospital Foundation Participates in the Expo Ormstown Parade for the First Time! The Foundation has recently updated it’s logo and during the parade it came to life! The green characters distributed glow-in-the-dark super bouncy balls to all the children along the parade route. A big thank you to our “green team” and the banner carriers for their time and support. The Foundation wishes to acknowledge the very generous donation of our banner by Enseignes Dumas.